Free Sample Portions of the Book! After running into demonstrable interference with the attempt to turn this story into a movie (see "The Conspiracy to Interfere With the Film"), I decided to turn it into a novel. I shouldn't have been surprised that I ran into interference with that as well. Some of the things that happened were terribly creepy. I cannot prove who did these things, nor can I prove a direct connection to this story, but the timing demonstrates a very likely connection. First, I came up with a new and improved scientific theory for the novel that I believe is much more accurate than the theory that was used for the screenplay. When the theory came to me, my head was spinning because of how thoroughly it fit the real historical facts as far as I have been able to discern them. I wondered whether anyone was still listening in on what I was doing and whether or not it was safe to reveal the theory to my family and friends. On the night that revealed the theory to my family, in about March of 2012, we experienced several strange phenomena that seemed like a possible warning that "they" were still paying attention to what I was doing: our lights dimmed to brown for several seconds, then back to full; then my cell phone glitched and restarted; then my wife's cell phone glitched and restarted; then my son's digital watch glitched and reset itself; all within about half an hour. I later shared the theory with some friends and that night a man in a black hoodie was seen staring into our front window from around the corner of our garage, which sticks out a bit from our house. Another person with whom I shared the theory claimed that that evening his cell phone showed that it was recharging when it was unplugged and a musical stuffed bear with dead batteries started playing music when no one had touched it. Of course, I was not there to see the bear incident, so I can only take that person at his word, but he seemed to feel a bit surprised and bothered by it. Second, I chose not to be intimidated and to continue working on the book. I felt determined that this story and particularly the theory at its heart would be shared with as much of the world as possible. While working on the book and being very close to completed, with the second draft finished and the book cover art roughly prepared, I tried to print the file one evening in September 2012 to provide to my editors for another read through. 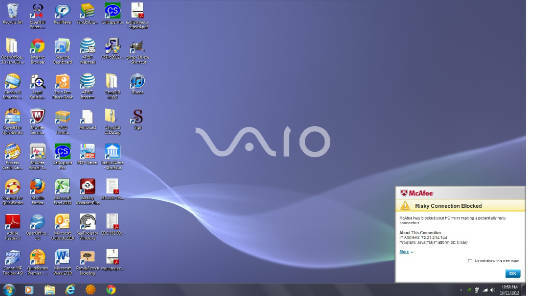 I have a laptop that links to my network wirelessly and a desktop PC that is hard-wired to my network. My color and black-and-white laser printers are wired directly into the network. I have had a lot of trouble with my printers connecting to the network just this year since about May or June as the novel was in the early stages of being written, but I did not make a mental connection between the printer problems and the novel; I just found ways to reinstall them and work around the problems. But this time in September, after printing well all day, I printed the rough cover art and a few test pages of the novel, then the printer would not work with my laptop. I then went to the desktop PC and started printing again, but after a few pages, the hard-wired printers would no longer respond to the hard-wired PC. Then I went back to the laptop and hard-wired the black-and-white laser printer directly to the laptop, skipping the network altogether. The test print page came through, but when I tried to print the novel from MS Word, it would not print. I tried a test page from the printer setup menu again and again it printed without any problem. This confirmed that the laptop and printer were communicating. So I tried again to print the novel from MS Word and again it would not print. Frustrated, I decided to try a different approach, I used a copy of the novel saved as a PDF and was able to print it from Adobe Acrobat. I was left wondering whether or not these printer problems and in fact the other problems that I have faced for several months since beginning the novel had a connection to the novel, and I was beginning to believe that there was some type of electronic attack on my equipment. Third, pressing forward and finishing the novel, I prepared to release it first as an e-book through Kindle, then as a paperback through Amazon/CreateSpace. I had already uploaded the cover art and begun the process of providing the necessary information to Kindle regarding the book, but I waited to upload the e-book itself because I decided to make a few final edits. 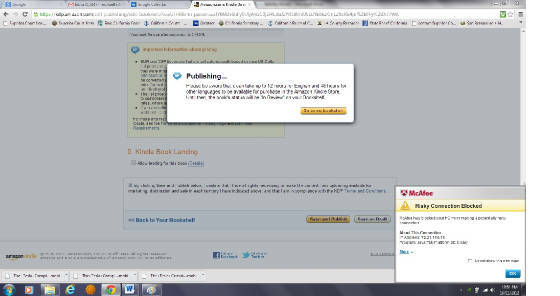 I uploaded the e-book file to Kindle in October 2012. While I was uploading the files, my firewall suddenly popped up with a notice that a risky connection between my laptop and another IP address was blocked. I showed my secretary, who began to freak out a little bit. The office lights temporarily browned out for a few seconds, which spooked her even more. I kept going and pressed the OK button on the firewall notice, then I immediately received a notice that a risky connection with a different IP address was blocked. Each time I pressed the OK button, a new warning came up about a new IP address. Finally, after the fifth new IP address that had tried to make a "risky connection" that was blocked by my firewall, I shut all of my computers down for a while. When I turned them back on, there were no more "attacks" or "risky connection" warnings. 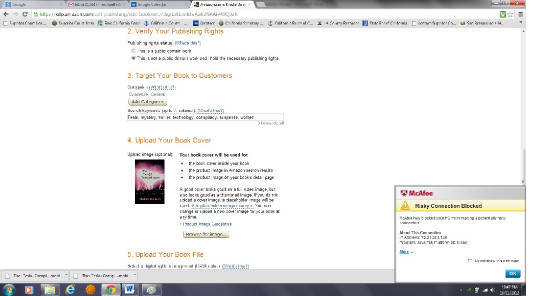 I had uploaded the cover art to Kindle before that date and have uploaded revised files to Kindle since that time, but I never received those computer attacks at any other time before or since that date. I did make screen captures of each warning that popped up. I have done an internet search for the source of these IP addresses, and found that each IP address appears to have some connection to Amazon, so I really cannot say for certain whether this was a creepy attack on my system from these five different IP addresses, but it sure was strange timing. Maybe there is an innocuous explanation, but all I know is that it never happened before nor since, even while uploading files to Kindle, except on the date and time when I was first uploading The Tesla Conspiracy e-book file. So far, people have been able to purchase the e-book and the paperback through Amazon.com and Kindle without any problems that have come to my attention. Is there a conspiracy to stop the story of "The Tesla Conspiracy" from being shared with the public? Perhaps the new theory is even more accurate than the one expressed in the screenplay and someone doesn't want the public to have it? 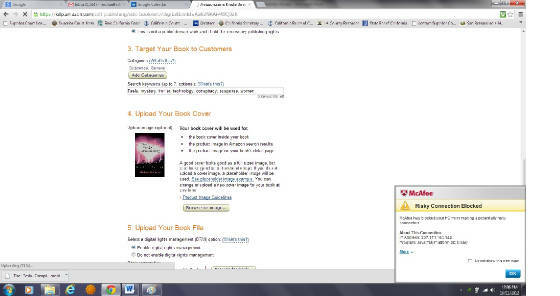 If so, the story is now available and the conspiracy fails a little more with each book that is purchased or shared. If there is no conspiracy, this is still a wonderful story that ties real history with new theories using a modern fictional mystery that turns into a tense thriller. Enjoy! 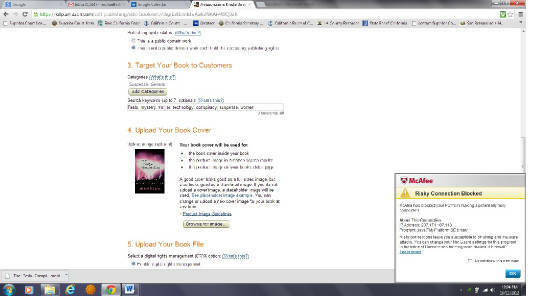 Five attacks that I was warned about while uploading e-book file to Kindle! Get the book & see why!